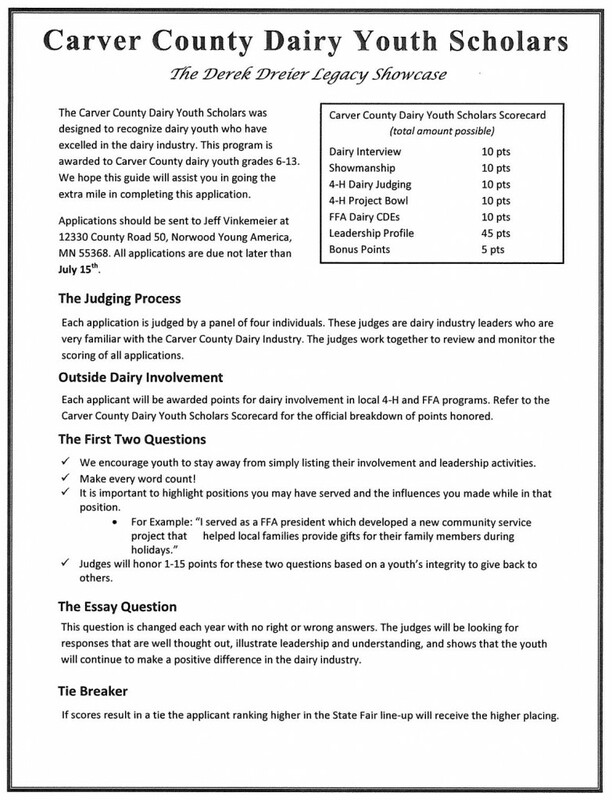 We are pleased to announce the Carver County Dairy Youth Scholars, which will take place at Judges Square at the Carver County Fair. This event will recognize the hard work and commitment of many Carver County dairy youth exhibitors. Interest to develop this program was sparked by the dedication and inspiration of 4-H/FFA alumni member and volunteer leader, Derek Dreier. Derek was involved in all aspects of the dairy industry and built a strong foundation for Carver County’s future participants. It is in his honor that we strive to support young dairy participants through this program.